There was just the newly married couple Dean & Debbie, both loved food and making people happy; so they began a journey to live their dream and “cater” to people’s needs for great food and great service. 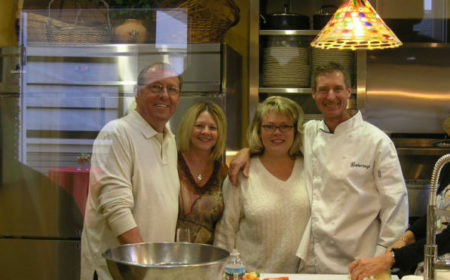 With Dean’s love for cooking and creating dishes that always get that “Wow!” response and Debbie’s special talent to organize the entire affair while treating everyone with courtesy and love, they officially formed Classic Catering with the simple, yet very crucial, motto of Great Food, Great Service, Every Time! Though they only worked at it very part-time to begin with (they had to have day jobs to pay the bills), their reputation was growing as a catering company that was indeed the epitome of Great Food, Great Service, Every Time! 2006: Our First Venue . . . While visiting, Debbie’s dad & stepmom (Jim & Cheryl) were strolling the charming town of Pacific Grove. Finding themselves smack in front of a “For Sale” sign of a quaint Victorian for which the flyer read “residential/ commercial zoning,” they smelled destiny in in the air. Jim & Cheryl loved real estate, renovations and parties, and “the kids” needed a commercial kitchen. The partnership was formed. First event at Gatherings (with friends) in 2007. It took a year to complete renovations of what is now a very unique venue that has become a Pacific Grove Tradition called Gatherings. When the doors opened in January 2007, many special social events took place from birthday parties to rehearsal dinners. Then Gatherings began earning a 5-star reputation as a wedding reception facility that filled a niche for couples seeking a smaller, intimate wedding location, but who, of course, still wanted first class ambiance, first class food, and first class service …just without the first class price! An opportunity to bring another special events venue to Monterey County presented itself. The Perry House, then owned by the Monterey History & Art Association, was available and offered beautiful views of the Bay and a great proximity to downtown Monterey with hotels and the Convention Center in walking distance. 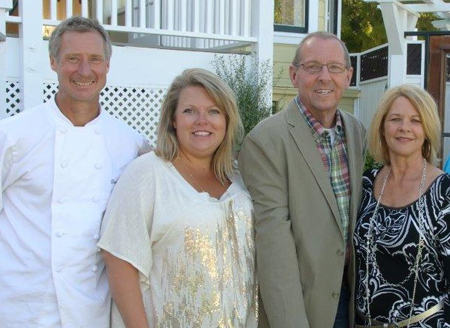 With Jim & Cheryl always up for a renovation and Dean & Debbie visualizing the beautiful special occasions that would be held there, the four took on the task to liven up The Perry House and create a one of a kind special events venue. The first official event at The Perry House was on 5/20/11, a Commencement Speaker Reception for the Monterey Institute of International Studies (now Middlebury), and the very next day was the first of many gorgeous weddings to be held at The Perry House. 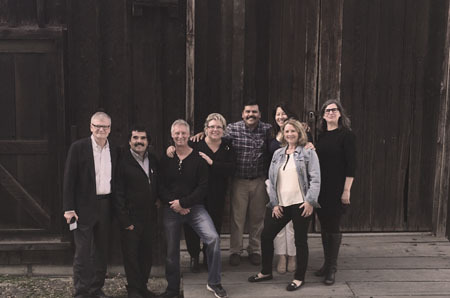 A development company was in the process of working with the National Trust for Historic Preservation on a New Vision for the historic Cooper Molera Adobe property in downtown Monterey, and we were honored to be asked if we would be interested in being a part of this new vision by becoming one of the new tenants and operating The Barns Event Center at Cooper Molera. OK, it was not all that easy or quick! But 18 months later, leases were signed, the development was under way, and our first event is around the corner — July 11, 2018! Touring The Barns well before construction got started. 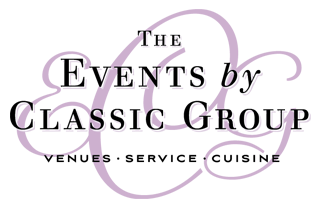 Lest we not forget that The Events by Classic Group is made up of much more than the owners! Without the phenomenal staff we have been blessed to add to our team over the years, quite frankly, you wouldn’t be reading this! It “takes a village” to pull this train and stand behind our motto each and every day, and our “village” is made up of some of the best staff on the peninsula who are as dedicated to our customer service philosophies as we are! Click here to meet some of our Village! 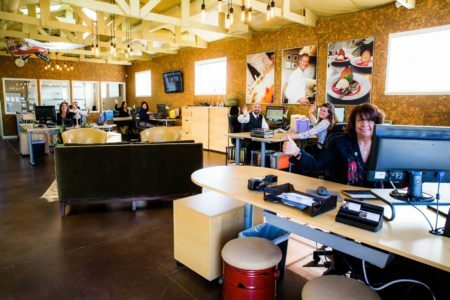 Who knows what the future will bring, but we do know that our goal remains as it has been from the very beginning… to give our clients Great Food, Great Service, Every Time!